My name is Jeff, and this is my daughter Emma in the picture. Chances are, you have never heard of neurofibromatosis. Just a few years ago, neither had I, and neither had my wife. 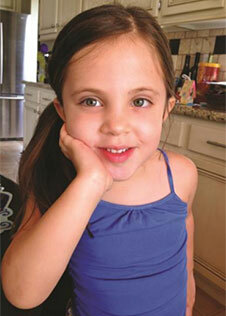 It wasn’t until Emma was diagnosed with NF that we became aware of its existence. Since then we have learned that it is one of the most common genetic disorders. One in every 3,000 babies is born with NF. Neurofibromatosis can affect any family. Imagine an unpredictable disease that causes tumors to form on your nerves, sometimes resulting in disfigurement, paralysis, deafness, blindness or cancer. In the wrong place even benign tumors can be fatal. Despite decades of research, there is still no cure for NF, and treatments are largely inadequate. But there is hope. The Neurofibromatosis Network is a national non-profit whose mission is to provide services to the NF community and to promote federal funding for NF research. My wife and I have made it our mission to raise awareness and support for those living with NF. That is where you come in. All we are asking is that you take a few minutes to create a doodle and sign it. The money raised at auction could make a world of difference to the 100,000 people living with this disorder, including Emma. Join with actress Gillian Anderson, who lost her brother to NF in 2011, by participating in the DOODLE 4 NF charity auction of celebrity Doodles. Simply draw a “Doodle” on the enclosed card, autograph it, and submit it in the prepaid envelope. Plain or fancy, serious or silly, pen, pencil, crayon, chalk or watercolor, they all sell. For fun and inspiration, check out the Doodles on the back and visit www.doodle4NF.org. We’d like to receive your Doodle by mid-April, but we’re delighted to accept it whenever your schedule allows. Doodles are collected year-round for auctioning each May. To learn more about NF and what we do, please visit www.nfnetwork.org. Questions? Need more cards? Email doodle4nf@nfnetwork.org.